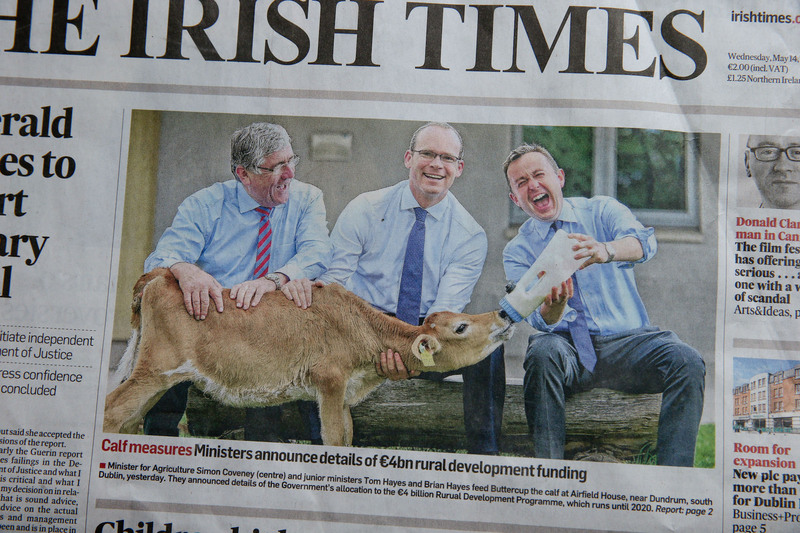 Minister for Agriculte Simon Coveney along with on left Tom Hayes T.D. 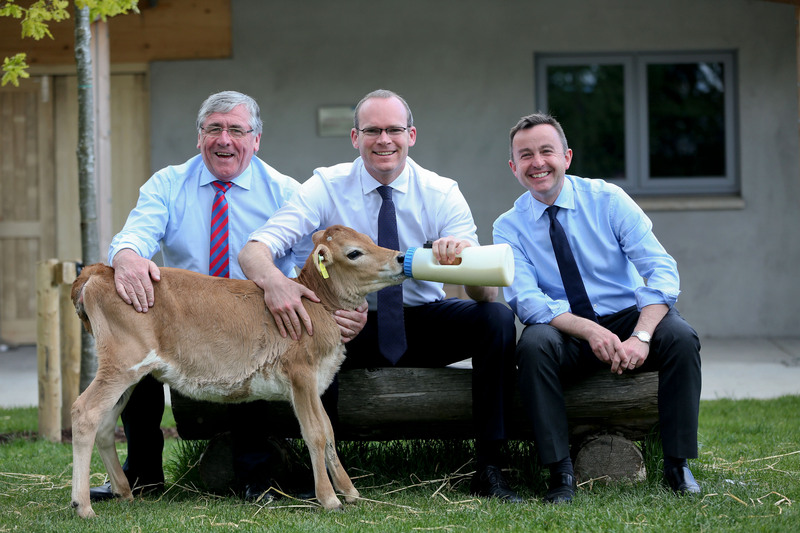 – Minister for Horticulture, Forestry, Food Safety and the Greyhound Industry and Brian Hayes TD Minister of State for Public Service Reform and the OPW as they get to grips with Buttercup . 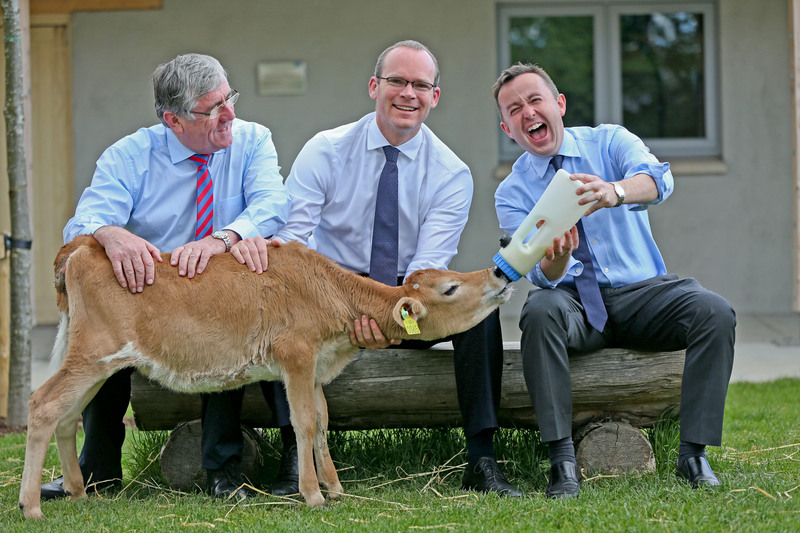 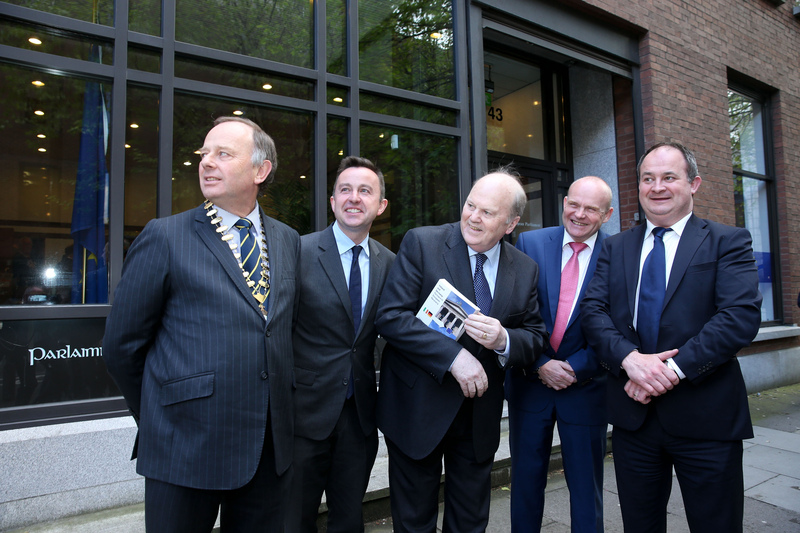 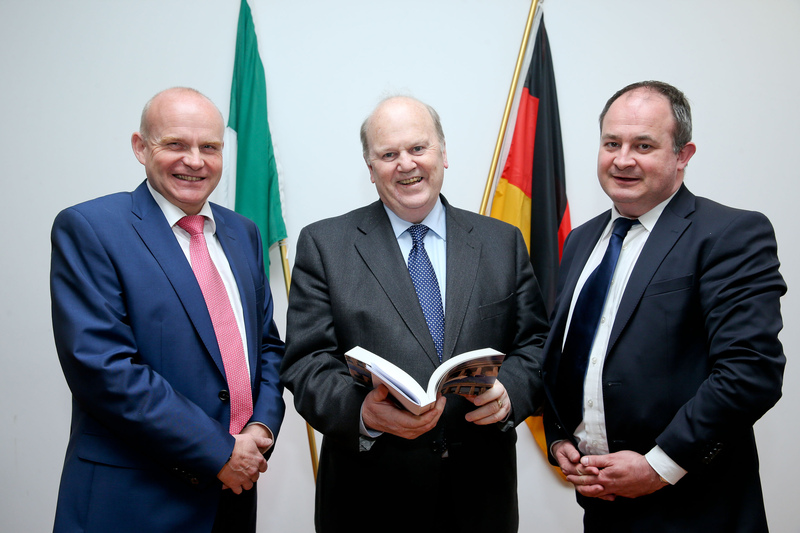 The Minister for Agriculture, Food and the Marine, Simon Coveney TD, today announced full financial allocations as well as important new details in relation to the support measures to be included in the new Rural Development Programme (RDP), 2014-2020.